I traveled with my husband; we started our trip in Hanoi and slowly made our way south, finally crossing the border to Cambodia at Ha Tien. Check out the infographic below to see which activities we did and how much they costs. Top things to do in Vietnam! There is so much to see and so much to do in Hanoi, you could spend weeks there… I was there only two days and visited some of the highlights. Ngoc Son Temple: located on a tiny island in the middle of Hoan Kiem Lake, it is hard to imagine a place more suited for a temple. It feels like an oasis of peacefulness in the middle of busy Hanoi. Also read this extensive backpacking guide to Vietnam! That, combined with the large amount of guards, soldiers and other officials involved and the endless line of Vietnamese honoring their great leader made it an unusual experience. Ho Chi Minh museum: I personally didn’t find this museum very interesting; to me it felt like a promotional campaign of the Communist Party of Vietnam. The Temple of Literature: this temple was built around 1100(!) and nobles, royalty and other members of the elite traveled from faraway places to study Confucianism here. Incredible to realize that the building is almost a 1000 years old and cool to imagine how life must have been in those times. Halong Bay is gorgeous. 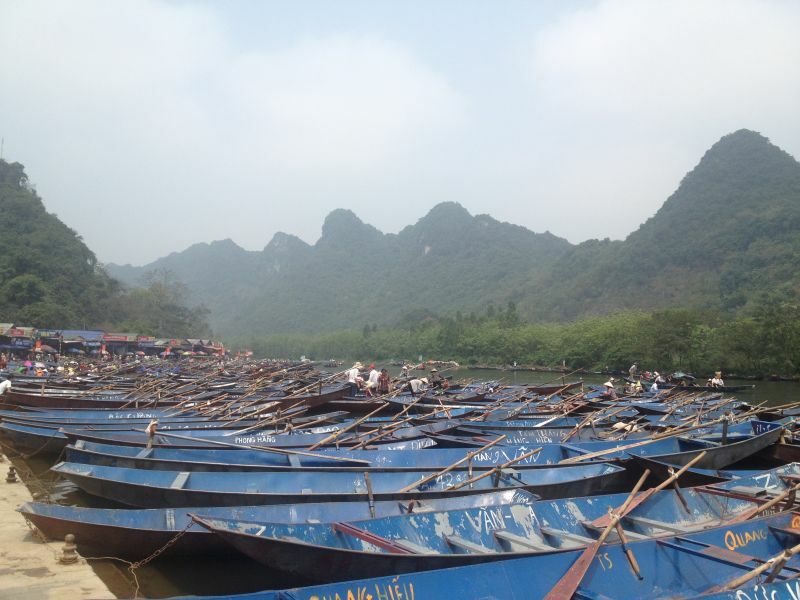 Limestone cliffs that rise high above the water, as far as your eyes can see. BUT… I have to admit that, while the cruise was a lot of fun because of all the fellow travelers we met, I didn’t find Halong Bay as impressive as I thought I would. Maybe because we just came from El Nido in the Philippines, which to me is the ultimate tropical paradise. Perhaps it was because of the extremely fog. Or because it was so touristy. Or because there was so much garbage floating in the water. Nevertheless, it was a fun trip and we made some new friends from Malaysia (who we visited later when we were in Kuala Lumpur). Practicalities: I booked with Sinh Cafe Travel. The boat was operated by Dugong Sail and in a relatively good condition (I have heard horror stories from other travelers who ended up on a boat with huge rats!). There was plenty of delicious food: fish, meat, vegetables, tofu, fruit and heaps of rice of course. 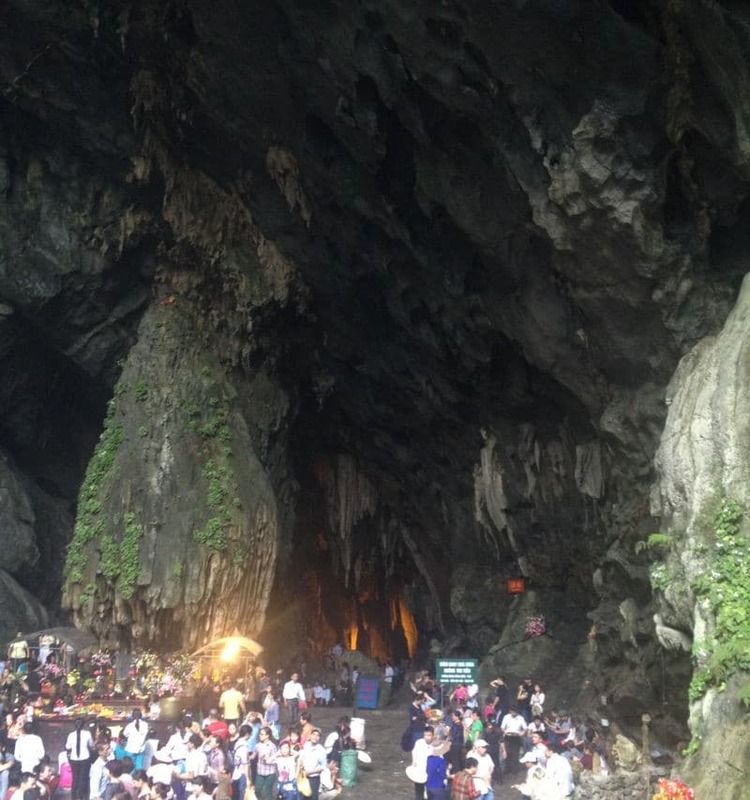 Transport from our hotel to Halong Bay and vice versa was included in the tour price, as is a visit to Sung Sot Cave, kayaking and a cooking class. Read a detailed review of the best Halong Bay cruises to make sure you are booking the Halong Bay trip which best suits your needs! I really enjoyed this tour, but I recommend doing this tour only shortly after Vietnamese New Year. Let me explain. The pagoda itself is nothing special, basically it’s just a cave. However, after Vietnamese New Year loads of Vietnamese flock to this pagoda to make an offering and this makes the tour very interesting. Not only did it give me an insight into the complex combination of religions practiced in Vietnam (Confucianism, Taoism, and Buddhism), it also made for a very amusing boat trip. To get to the pagoda complex, we took a seat in a tiny boat rowed by an amazingly strong Vietnamese man. During this boat trip we passed loads of boats jam-packed with entire families (visiting the pagoda to make their offering) who enthusiastically smiled, waved and took pictures of us. Very funny:-). Practicalities: I booked this tour with Sinh Cafe Travel as well. Transport from our hotel to the Perfume Pagoda and vice versa, the boat trip and the entry to the Pagoda Complex was included in the tour price. The last of the three tours I did around Hanoi and possibly my favorite one. While I did not find Hoa Lu that impressive (the capital of Vietnam from 968 to 1009), Tam Coc definitely was. It is like Halong Bay but with rice fields instead of water: massive limestone cliffs and bright green rice fields… so pretty! Besides the stunning surroundings, sitting in a tiny boat while being rowed by a Vietnamese lady using just her feet to row was also a very special experience. The bus ride was rather long (3,5hours) so I was relieved we did not have to go back to Hanoi because we were staying in Tam Coc to continue our trip south the next day (with the night train from Ninh Binh to Hue). Practicalities: I booked this tour with Sinh Cafe Travel as well. Entry to the Hoa Lu complex and the boat trip in Tam Coc were included, as was transport from our hotel to Hoa Lu and Tam Coc and vice versa (though we did not actually make use of the return trip to Hanoi as explained above). 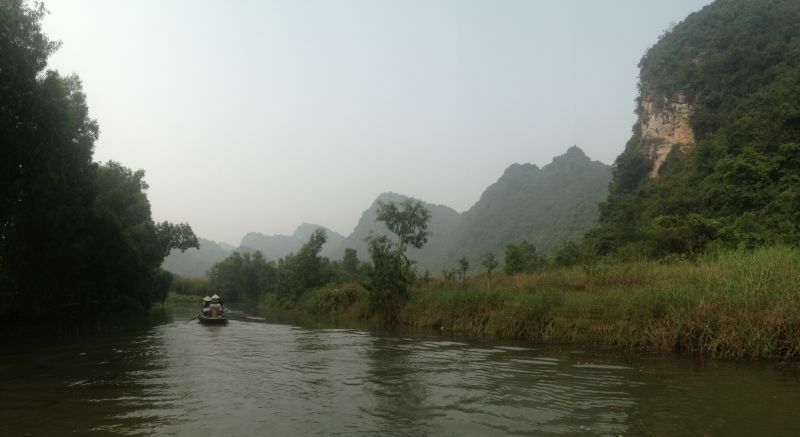 Also check out this post about planning a trip to Vietnam! 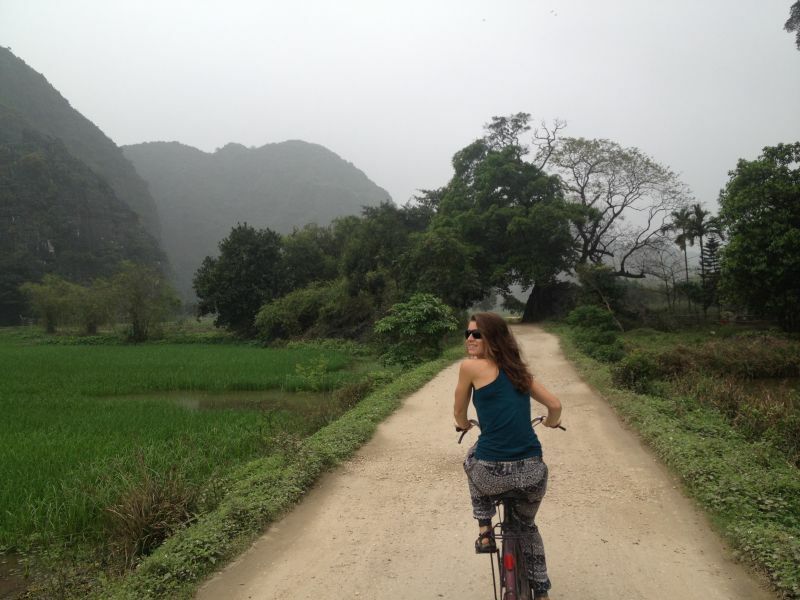 We rented a bicycle in Tam Coc and also in Hue. I love this way of exploring: a slower pace than on a scooter and more ecofriendly, giving me a little exercise and plenty of high-fives from children in tiny villages. And most importantly: stopping wherever you want to take pictures of unexpected and unexplored beautiful buildings. In Tam Coc we cycled over sandy roads between the rice fields and in Hue we pedaled along the Perfume River, peaceful and pretty. 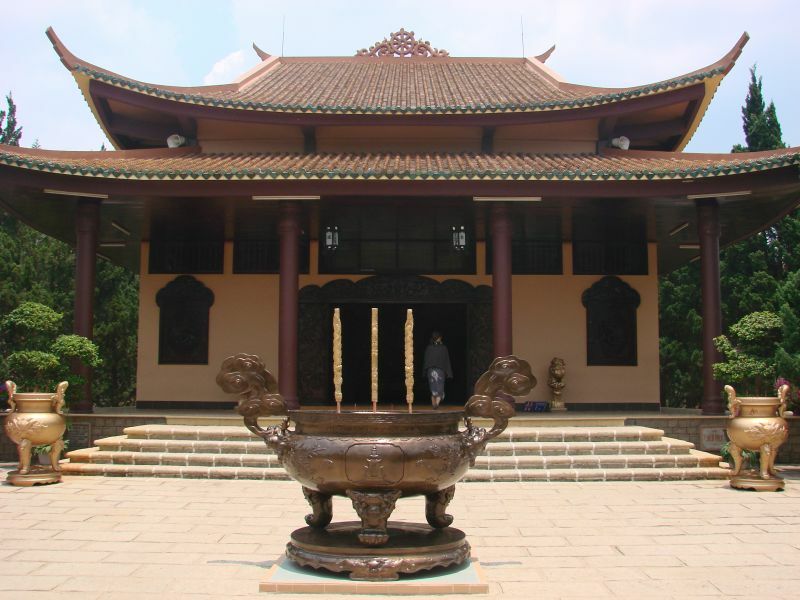 An interesting piece of Vietnamese history, definitely worth a visit! 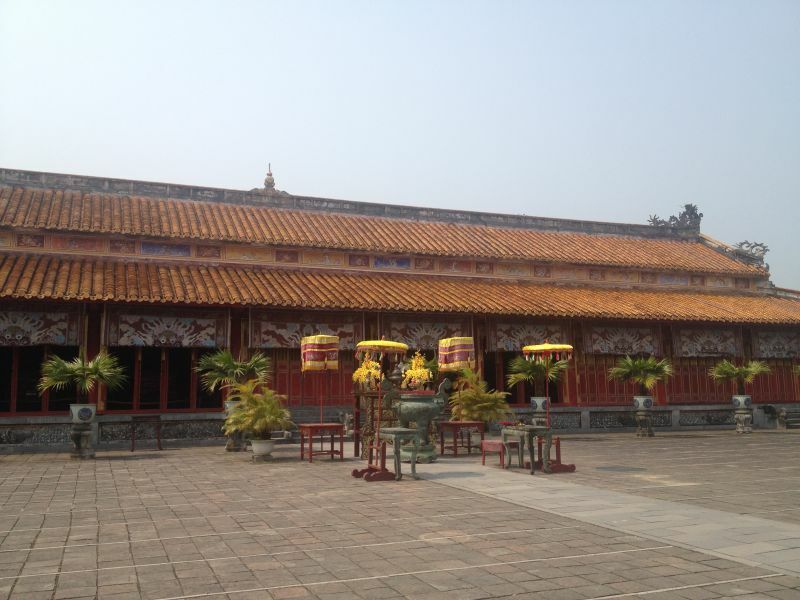 Hue was the capital of the Nguyễn emperors, who build the Citadel between 1804 and 1833. Within the 2.5 by 2.5km and 6 meter high wall of the Citadel, the emperors build the Imperial Enclosure and within this enclosure they build the Forbidden Purple City; a place only the emperor, his concubines and eunuchs were allowed to enter. Unfortunately, much of the complex has been destroyed during the Vietnam War, but with help from UNESCO it is being restored. A very impressive complex with beautiful temples and gardens. It is very green and quiet, we felt like I was the only one there! Take enough water though, it can get quite hot during the day and because of the size of the complex you’ll be walking a lot. So many caves and past, present and future Buddha’s! I didn’t know the difference before visiting the Marble Mountains, now I do. 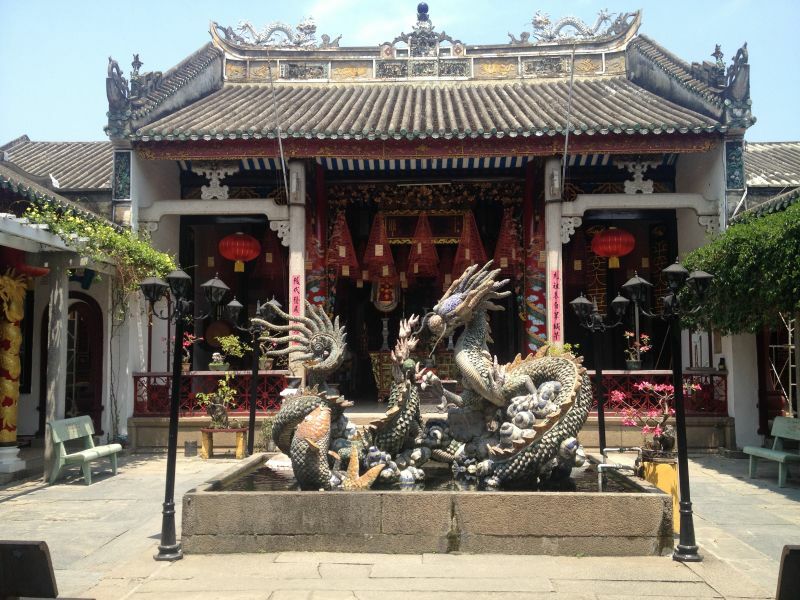 Hoi An Old Town is an UNESCO world heritage site with an incredible amount of beautiful historic buildings, most of them Chinese Assembly Halls. Very colorful and very pretty. I had a great massage at Kiman Hotel, very relaxing… Sorry, no pictures;-). Our awesome homestay Cam Ly homestay provided us with two mountain bikes to explore Dalat. 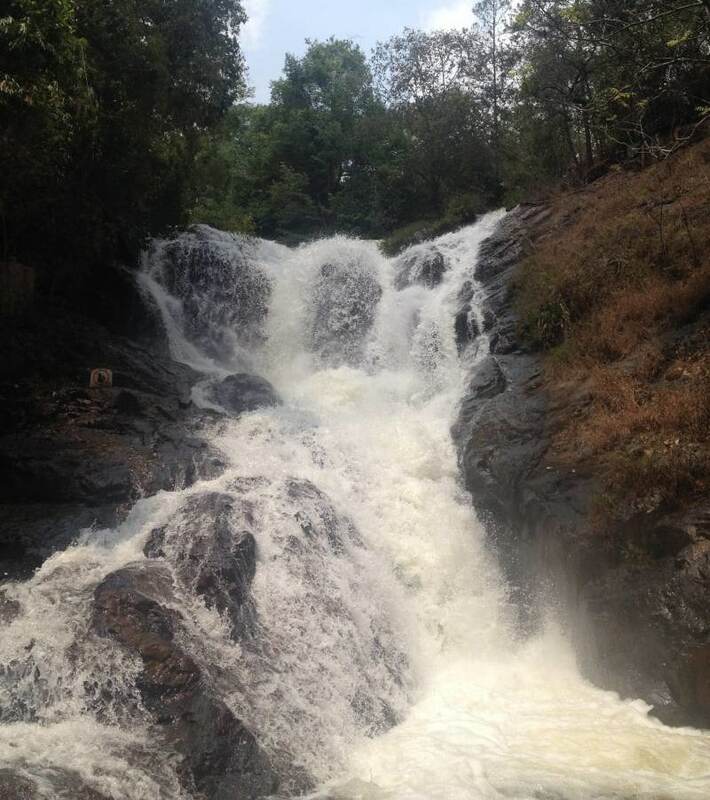 Dalat lies in the mountains which meant my lazy muscles had to get back to work. 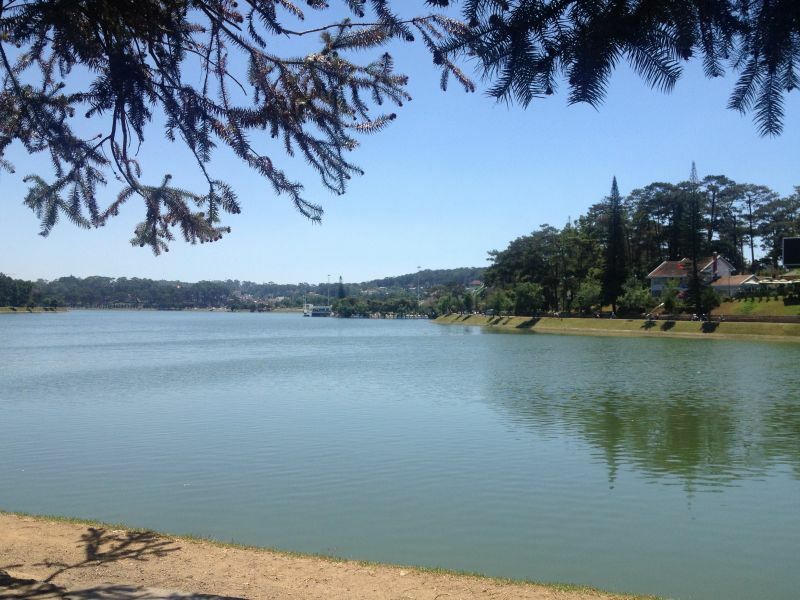 The first day we start with a circuit around Ho Xuan Huong Lake, located in the heart of Dalat, finishing the circuit at the Crazy House. 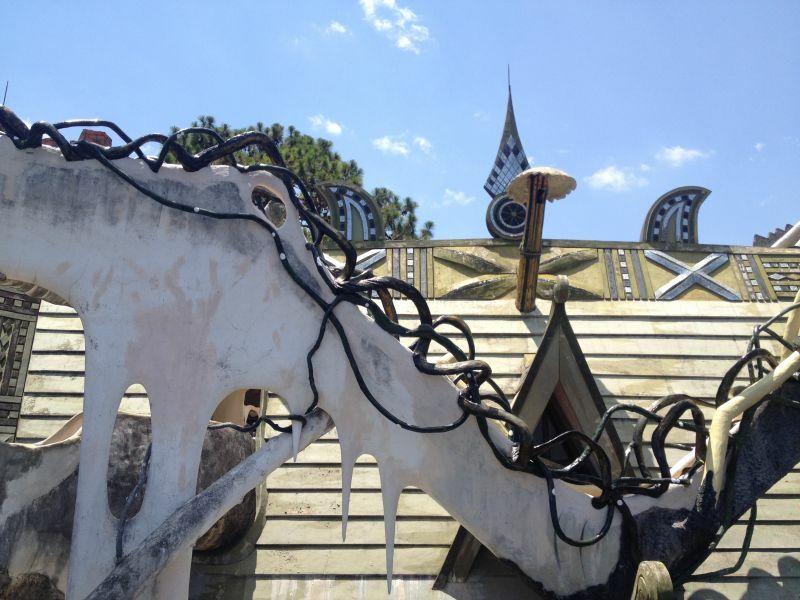 Which was indeed pretty crazy, sort of Maze meets Gaudi meets Fairytale house. After a surprisingly fun hour of wandering around we got back onto our bikes and cycled to the train station of Dalat. There we got on a very old train, which brought us to Trai Mat, a little village about 7km away. The locomotive honked every hundred meters and drove about 25km per hour, a pretty cool way to do some sightseeing. 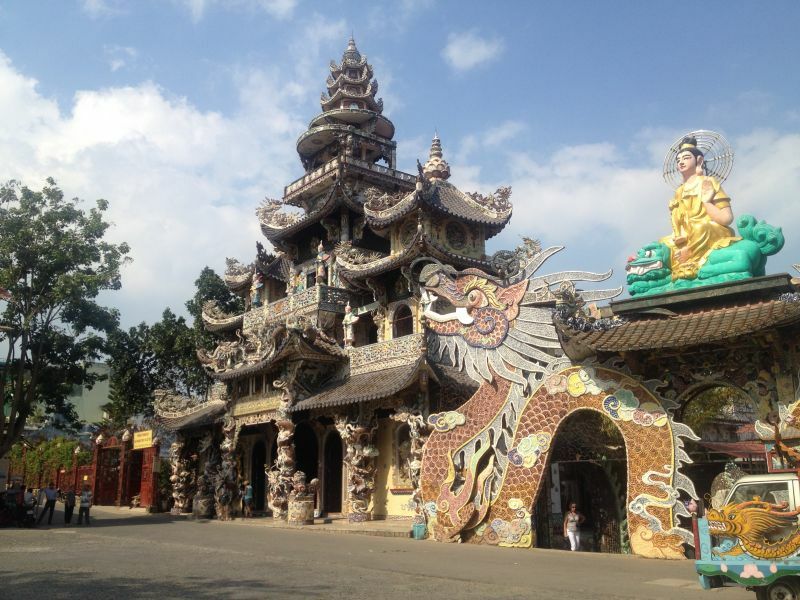 In Trai Mat we visited the Linh Phuoc temple, check out the colorful decorations! 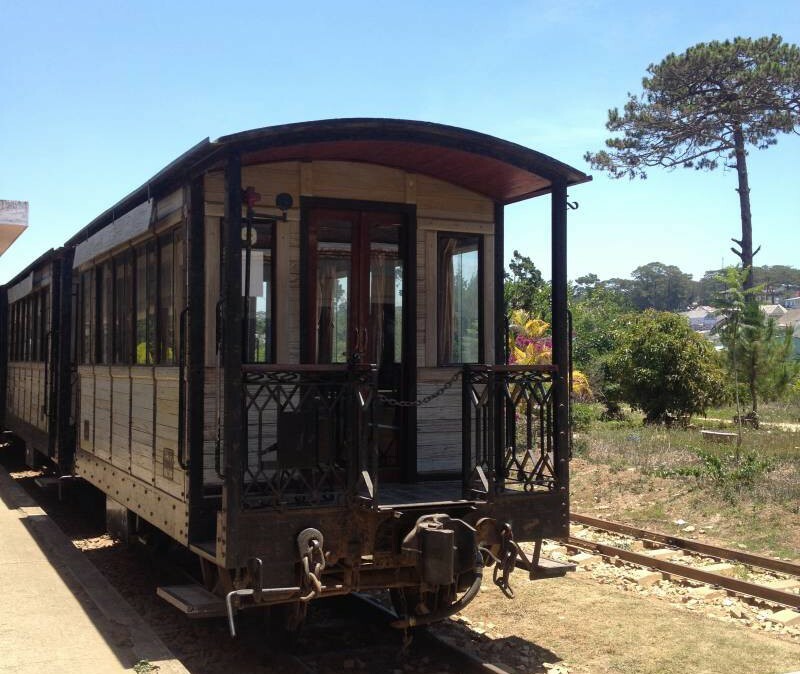 The train took us back to Dalat where we cycled back to our homestay. On the second day of mountain biking, we visited the Datanla Falls which were quite nice, but I am so spoiled after seeing so many gorgeous waterfalls in New Zealand that this one didn’t make my top 10;-). We continued our route to the Truc Lam Zen Pagoda, a monastery located on top of a mountain. A very serene complex with beautiful gardens and buildings! 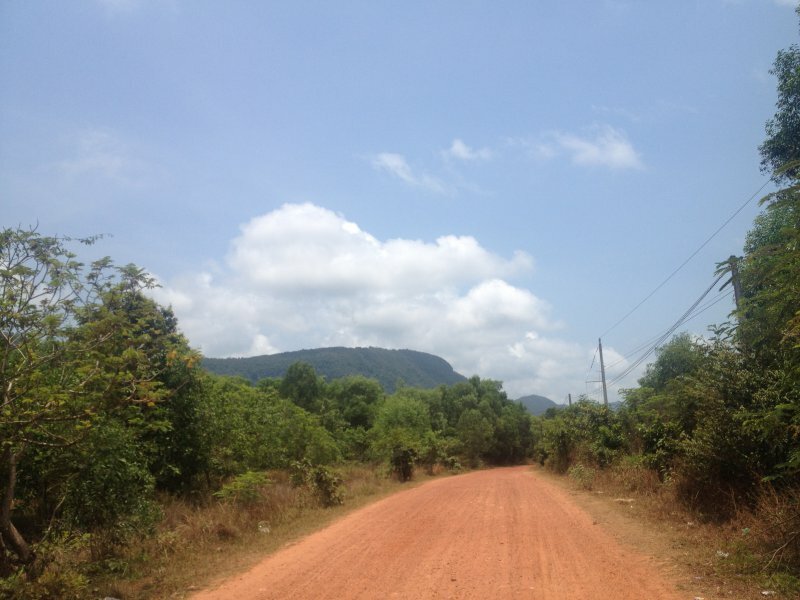 Luckily the way back to Dalat was mostly downhill, we were pretty tired from climbing all the steep mountains! The stories and pictures are horrible, of massacring entire village, torturing of prisoners, victims of napalm and Agent Orange. Extremely depressing, but so important to realize what war does to people, no one wins… I am really grateful to be living in a free country. Another Vietnam War remainder is the Cu Chi tunnels, a 200km network of extremely cramped underground tunnels constructed and used by the Vietcong during the war to fight the Americans with a guerrilla tactic. When we descended into the tunnels, which have already been widened for tourists, I almost panicked (I am a little claustrophobic) and went back up. 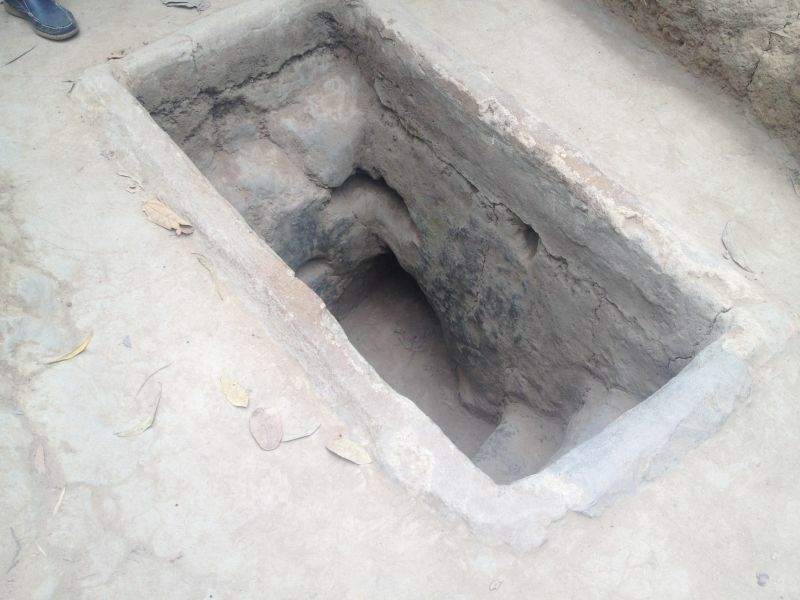 But if people can live here for almost 10 years, I can manage to crawl a 100 meters through the cramped, hot, dark tunnel with little fresh oxygen. I was soooo relieved when I got out and so impressed and depressed, war is awful…. After the depressing Vietnam War activities we craved something light, fun and relaxing. And something cool because the temperature is about 40 degrees Celsius. What better way to relax and cool off than watching a movie in an air-conditioned cinema. I LOVE driving around on a scooter, it is so much fun! We drove around on Phu Quoc for three days, I have written a separate post about it, because there is a lot to see on this beautiful island! You can download the info about the activities below. Check out this entertaining post from my blogger friend Karolina about 10 interesting facts about Vietnam, I guarantee you’ll learn things you didn’t know about this beautiful country, I know I did and I spent a month there! 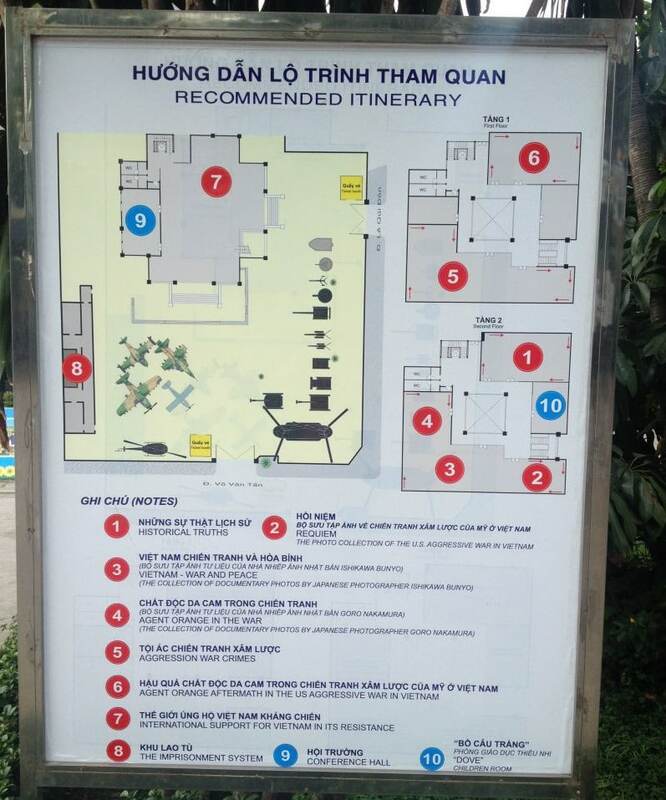 Also check out my other posts about the costs of traveling in Vietnam and my 1 month Vietnam travel itinerary. Do you have any questions about any of the activities mentioned above? Leave a comment below or contact me! 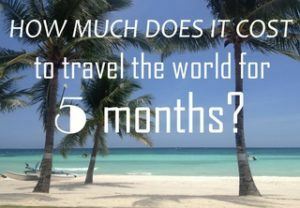 Previous Post: « How Much Does It Cost To Travel Vietnam? This is article is really a must read for my collegue! She has plas to travel to Vietnam! Awesome Sanne! Thanks for sharing my post with your collegue:-) I have written plenty of Vietnam posts, I hope she’ll find them helpful in planning her trip! What foods did you eat there? I have heard not to eat any salads, as they may have been washed in contaminated water? I pictured myself eating lots of salad while we are there? I ate all kinds of food:-). The food in Vietnam is delicious and I did not get sick once. I ate Banh Mi, Banh Xeo, Pho, many salads and every once in a while some Western food (but not a lot because Vietnamese food is incredibly varied, healthy and jummie!). Hi what is the best currency to take as I am going to Vietnam and Cambodia in a few weeks, thanks.